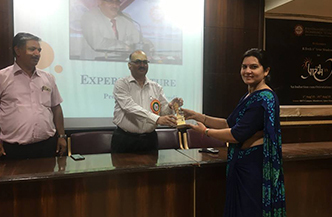 An expert lecture was organized by Department of Civil Engineering,RIET, Jaipur on 6/9/18 for Civil Engineering students. 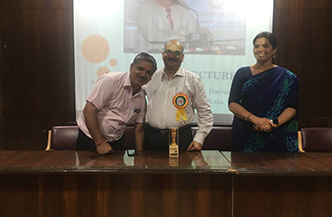 Prof. Dwivedi interacted with students and told them about the trending technologies related to civil engineering. He also emphasized that student should be updated as per new technologies emerging in market. During his interaction he asked many questions related to cement, fly ash, concrete and answered to all the queries raised. 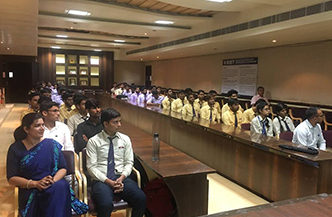 He motivated students to study various Indian Standards codes related to Reinforced Concrete Structures and Steel Structures. 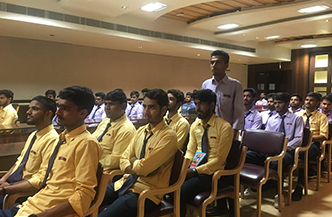 He advised students to attend Summer Training sincerely and honestly so that Trainees of Today can be Engineers of Tomorrow. He told that a civil engineer should learn to study drawings during his training period itself. 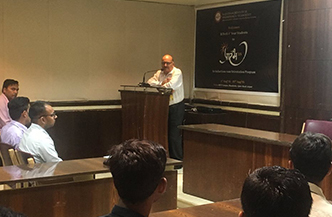 He enlightened students with his golden words and told students to be attentive and wherever possible if they see a new construction they should give atleast one hour to the site so that they can learn something new. 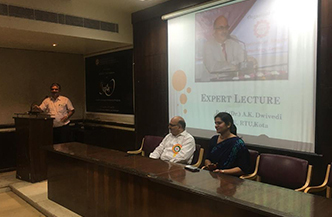 The program was beneficial for both students and faculty members and would be helpful in grooming them in their personal as well as professional lives.